Augmented Reality (AR) is a technology that allows the integration of digital information (e.g. graphics, sound, video) into a live view of the user’s physical environment in real time. As the word ‘augmented’ suggests it enriches the real-world view rather than blocking the real environment for an immersive and interactive experience. For example, imagine walking the streets of a foreign country on holiday and holding your phone camera up to the surrounding environment and seeing overlaid historical information about the surrounding buildings, directions to the nearest restaurant or even signage translated into your native language. These are the types of experience augmented reality can provide. Augmented reality can be viewed on all screens and connected devices; the most common being mobile devices (smartphones and tablets) and head mounted displays, glasses and lenses. These two are often confused: Virtual Reality (VR) is a computer-generated environment you can interact with. It creates an experience where users feel as though they are experiencing the simulated environment first hand. An example of this would be in a game where the user wears a headset and experiences what it is like to be a pilot in a flight simulator. Augmented Reality adds to the real-world rather than replacing it. The first development of AR technology dates back to the late 60’s at Harvard University where an AR head mounted display system was created. The display system was suspended from the ceiling and the viewer experienced computer-fed graphics of simple wireframe rooms. This sparked the interest of many and in the following decades AR advanced further for wearables and digital displays. As technology, advanced, AR made its way into the commercial world where one of the first applications appeared in 2008 for advertising purposes by for vehicle brand, MINI. The success of the advertisement led to more brands implementing and advancing this concept for their campaigns and a new application was created where AR was used to engage customers at events or in public spaces. The fashion industry embraced the technology by giving people the opportunity to virtually ‘try on’ their products such as watches or jewellery. The development of face recognition technology gave opportunity to the beauty industry where AR mirrors which allowed customers to overlay make-up on themselves in real-time. The technology used 2D modelling technology and advanced face-tracking techniques. This technology has developed further and is now popular in applications such as social media application, Snapchat. 2013 saw AR make a larger leap towards consumer audiences when it started to be used by car manufacturers to create ‘new age’ vehicle service manuals that provided repair assistance, allowing technicians to foresee how a repair process will look on the vehicle in front of them. This was followed by the announcement of googles’ ‘Google Glass’ in 2014, a consumer centric, wearable AR device. The announcement from the industry leader caused a huge buzz and the concept excited the tech world. However, the buzz died down when a variety of health and safety concerns were uncovered and the design was heavily criticised. The product is still currently in development today. 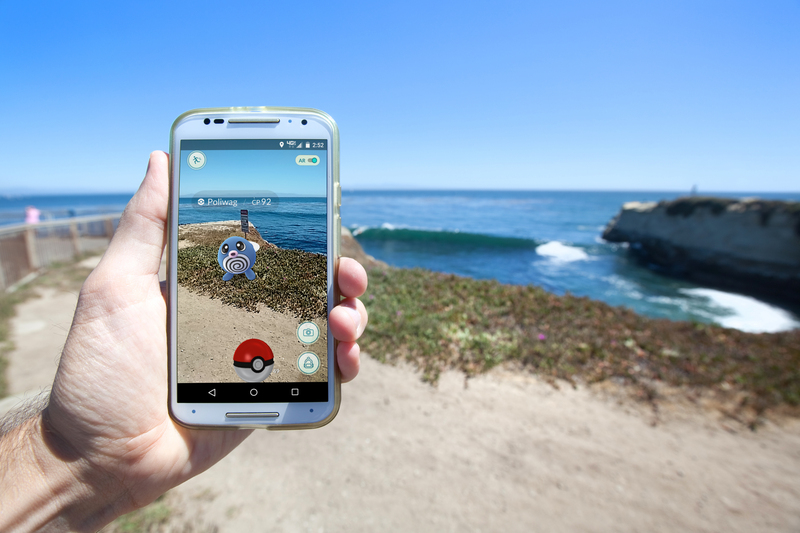 A huge reason for the current resurgence of AR investment and popularity was due to the success of AR gaming app, Pokémon Go. This uses AR technology to make the Pokémon characters appear on a phone screen as if they were in your real surroundings. Players can then interact with the Pokémon using an overlaid ‘Pokeball’ to enable users to catch them to add to their collection. The app was downloaded more than 100 million times in its first month and became Apple’s most downloaded app worldwide in 2016. The success of the AR game highlighted a lucrative opportunity for businesses and highlighted its potential as a marketing platform. Pokémon Go has made AR more approachable and accessible and has highlighted that the technology can be grasped by people of all ages. The scale of its success has seen companies investing more into augmented reality. 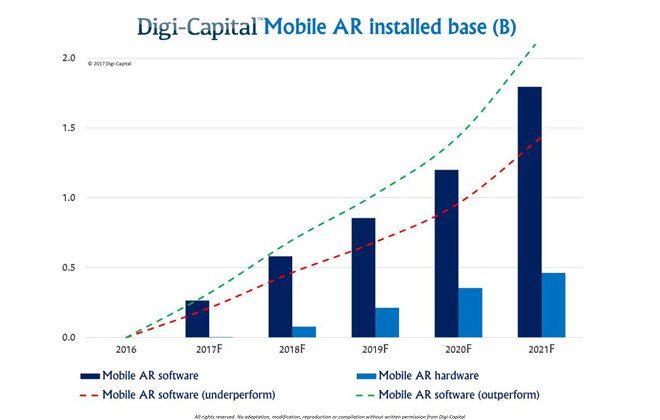 Increased investment means AR technology is continually improving and its applications provide greater added value in the form of meaningful content and profit. 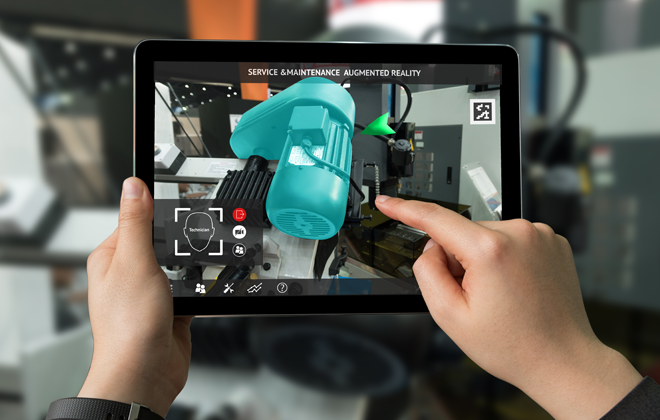 More AR applications are emerging in all industry sectors some of which we will explore in the following sections of this page. Brand Differentiation – AR allows for the creation of an immersive experience which can be tailored to suit your brands imagery and tone of voice. This type of content stands out amongst the standard media content and can provide customers with something not yet offered by competitors, strengthening brand image. Marketing – AR allows for more creative, new and engaging campaigns. Using AR for marketing purposes can increase brand exposure and overall market awareness. Consumer Engagement – AR generally gets more virality in terms of social sharing which increases the acquisition of new customers. The interactive nature of AR technology can also help to maintain customer retention. Productivity – AR can be used for employee training, shortening learning curves and saving time and resources. The real-time feedback aspect of the technology gives users reassurance, more information and a deeper understanding of what they are learning. Experience – AR can add value to the user journey at any time. It can be informative or add a ‘fun factor’ to the experience. It allows for an immersive experience that can be provided in any environment. Learning – AR can shorten learning curves. For example, AR can act as virtual instructor for users for applications such as car maintenance. Personalization – AR can allow users to have a personalised shopping experience. For example, they could virtually try on clothing and accessories or see how a new piece of furniture would look in their home. 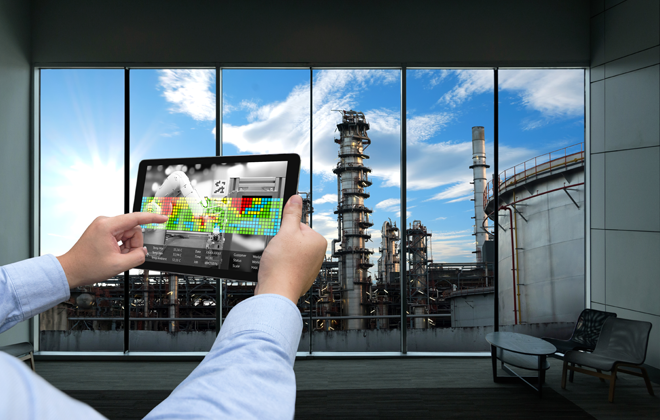 The potential of AR technology has seen it making its way into a variety of industry sectors. Here we have shown you some AR application success stories. AR has found a strong foothold in the retail industry. Using AR, businesses can provide a level of interaction between their products and consumers by immersing them in a completely new environment. 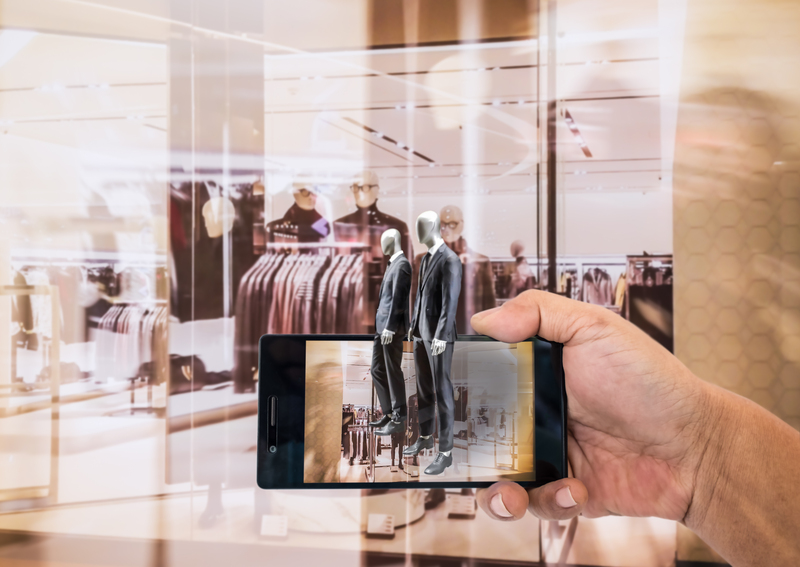 Providing advantages both in-store and through online retail, Augmented Reality has already begun to change the way we shop forever. 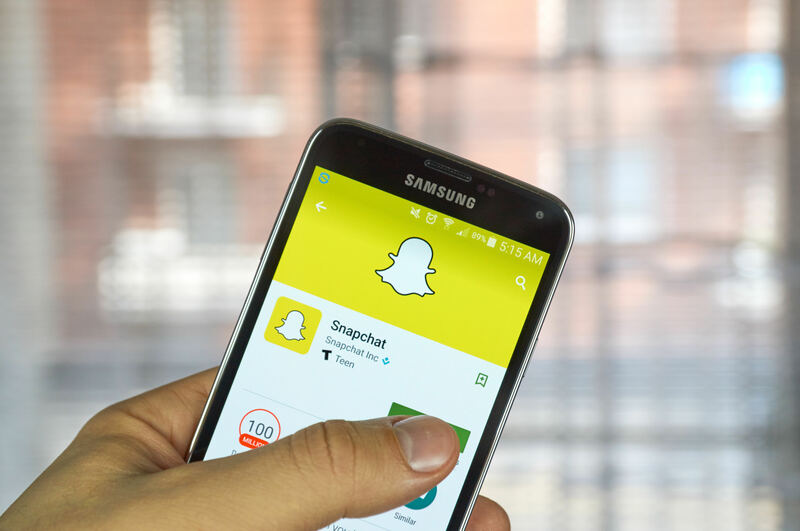 Snapchat pioneered AR in the social media space with its popular puppy dog and flower crown selfie filters, which it calls lenses. On April 18th 2017, Snapchat announced a new set of rear-camera lenses that let you place virtual objects in the real world using the app’s camera. Do not lose sight of your objectives. Define why you want to adopt AR technology and what you want to achieve from it. Make sure the experience adds value and is useful, steer away from being perceived as ‘gimmicky’. Remember that people are searching for experiences not technologies. Stay true to your brands’ values and image. As AR implements moving graphics, make sure elements such as colour and text can be viewed well when the user moves the screen in different surroundings and circumstances (e.g. lighting conditions). Labels and links need to stand apart from the rest of the design in order for the user to know that selecting these specific text cues will result in an interactive experience with the application. Carry out user testing on your AR application to identify problems for users before launch. As the technology is relatively new to most users, it is important to ensure that they understand the concept and can interact with the application with ease. Track interactions to uncover future improvements and opportunities. If you would like more information on how to test your AR application contact us on +44(0)800 024624 or email us at hello@ux247.com. With augmented reality comes a new type of user experience. This in turn brings about new challenges and opportunities within the UX industry. The main challenge for UX designers is that design best practices for AR have not been established yet and so designers need to develop an understanding of users’ current and future expectations of this technology. This offers an opportunity for UX designers to lead the development in how users experience this emerging medium and experience reality. AR is a type of interface in which tasks are accomplished using contextual information collected by the computer system not the user. The user experience will be based mostly on physical gestures and natural language recognition. This will involve designing UX flows of voice-activated commands and interactions. Wearables are also widely used in AR applications (e.g. headsets or digital glasses) and this adds an extra layer to the experience. Users will need to be analysed as to how these are used in their environment. The potential of this technology is great, with the ability to provide a seamless, low-effort, yet rich user interaction with the real world. It will grow to encompass much more than it does now and is likely to change standardised customs within society (e.g. shopping, gaming etc. ), but as always, the key task for UX designers is to make the users life easier in this new type of experience. With AR still very much in its infancy, user research is more vital than ever in this continually developing field. Usually, usability testing involves a lab set up with participants on screen actions and opinions being observed in an artificial environment. However, as AR is not restricted to a screen and is integrated into the real-world environment, different usability testing methods need to be employed and adapted to suit this type of technology and provide the required results. Remote testing in the intended environment is important for this technology. For example, if it is a navigation app, test it on the streets or if it is a shopping app, test it in a store. If testing in the real environment is not possible, building mock ups can be useful. Consider elements such as the size of the space, obstacles and any other external factors likely to influence the user. A video recording of what the user is seeing as well as an external recording of the participant can be reviewed later to show how the user interacted with the graphical elements of the app and how these elements affected their interactions with the real-world environment. For example, if the app involves a hologram, how do users react to it? Do they treat it as an obstacle and move around it or do they walk through it? In general, keep in mind that user issues that arise during AR testing will be more subtle and complex and users will make a larger number of errors.With AR the physical user experience is a large part of the testing and needs to be considered alongside the functionality of the app. If you would like to discuss how to test your AR application contact us on +44(0)800 024624 or email us at hello@ux247.com. 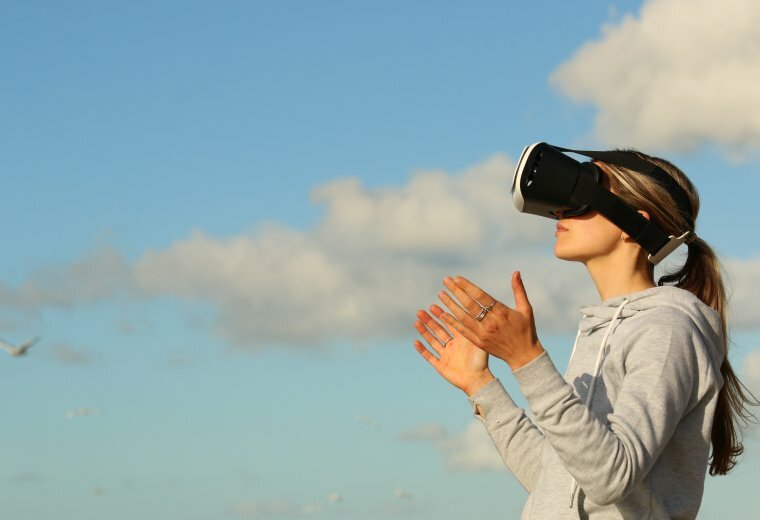 This year has seen leading organisations announcing their support for AR and implementing it into their long-term strategies. Facebook outlined its plans to take AR mobile with the launch of a ‘Camera Effects Platform’ ( available within Facebook’s camera feature) at its annual F8 developers conference this year. The platform provides a set of tools for outside developers to build augmented-reality apps that you can access from the existing Facebook app’s camera. It will allow developers to use precise location, object recognition and depth detection to create their effects. Increased investment into Mobile AR has lead experts to predict that mobile augmented reality will be a $60 Billion Industry by 2021. A Recent report by analysts at digi-Capital suggests that the industry might be sitting on a ticking time-bomb. A bomb filled with loads and loads of cash, as they predict that Augmented Reality in the mobile space with be worth as much as $60 Billion a year by 2021 and potentially be used by as many as 1 Billion people. Another key player in the future of AR is Microsoft. The organisation continues to venture further into AR after the release of its wearable HoloLens it has debuted its AR glasses prototype. The potential of AR has also seen increased research in new industries such as healthcare. For example, this article explains how an app using Microsofts’ HoloLens enables doctors to use augmented reality during spinal surgery. Many AR applications so far have still been testing the water of what the technology is capable of. With so many AR products and services in development the future will reap the benefits of AR technology, continually changing social norms and improving user experiences in many more sectors.